Q: How do I show the Categories on the main page? A: Open your administration panel like this: goto www.yourdomain.com/admin where yourdomain.com refers directly to the address of your site. On the Configuration menu, choose Layout Settings from the menu. 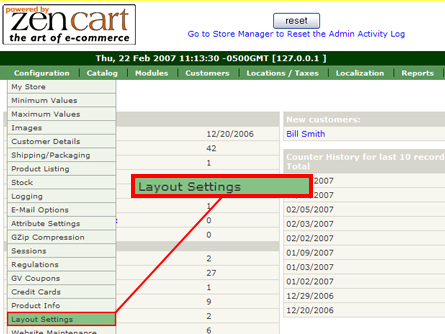 Find the Categories – Always Show on Main Page, click edit and enable the feature (Set to 1). This entry was posted in E-commerce Templates, ZenCart, ZenCart Tutorials and tagged e-commerce, ZenCart. Bookmark the permalink.